We’ve been outfitting float anglers since 1999 and we’re confident we have what you need. If we don’t, then we’ll help you find it, even if it’s a competitor! We may not have the brand recognition of the big boys, but we stay competitive with pricing and offer expertise they don’t. As passionate kayak and float fishers ourselves, we take pride in being a specialty shop – for specialty anglers. We have many customers in the US, but we regularly ship products to our Canadian and European customers as well. Just contact us directly for a shipping quote. The sport of fishing has been loved by many over the past centuries. You can fish from a shore, you can fish from a dock. You can fish while standing in water. But you can also fish from a kick boat! 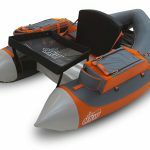 A float tube is a lightweight, single person watercraft that enables you to reach wilderness streams, ponds and lakes, usually where there is no boat access. 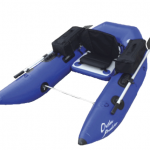 Each small craft device is lightweight and designed for different waters and anglers in mind. There are four different types of tube designs: the round tube, the U or V shaped tube, the pontoon and the cat. Each device is designed with various things in mind and for different types of water variances. 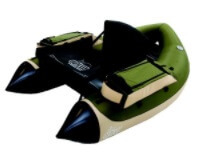 But all of these small water crafts are also designed with solid, durable material and with safety in mind. The round tube was the initial design for belly boats and is used in still water only. It’s classic doughnut-shape has all the features of the more expensive tubes, but at a less expensive price. U or V kick boats have an open front that allows easy entry. They also have a lounge chair and positions the angler higher above the water. The pontoons are more advanced fishing crafts and provide the ultimate in performance, durability and portability. Pontoons offer quick-turn maneuverability and superior balance. Their seats are positioned higher which offer higher visibility and greater comfort. They have a solid, hull catamaran design and keep the angler completely out of the water, providing superior balance, complete freedom of movement and increased visibility. We carry the Prowler, Fish Cat, Trinity, Venture Outdoors, VO Modular, PAC, and many others including accessories. We look forward to doing business with you and offer shipping at competitive prices. Doesn’t it feel like the best fishing spots are always ‘over there’? Serious anglers understand the importance of mobility, but don’t want the hassle or expense of a full-fledged fishing boat. Stealth + Mobility + Affordability = Float Fishing. Float angling has become ‘the poor anglers’ secret weapon’. It’s also a unique and immersive outdoor experience. 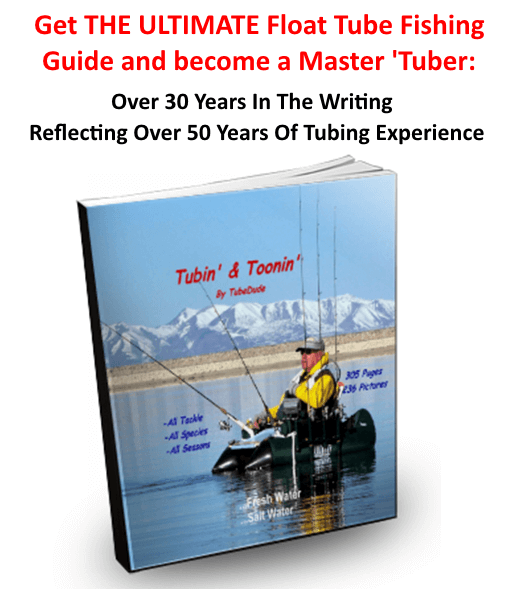 Find out why serious anglers choose to fish from a ‘tube or a ‘toon. At FloatTubeFishing.com we strive to become as helpful a resource as possible. 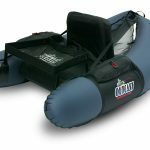 We carry the top float tubes, fishing sups, belly boats, fishing pontoon boats, fishing paddle boards, kayaks, and inflatable fishing boats on the market. We’ll show you how to pimp out your craft and provide expert fishing tips. 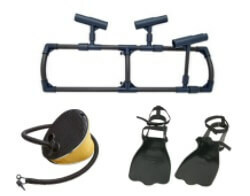 We also have all the accessories you’ll need: fins, rod holders, pumps, camera mounts, and more! We offer FREE SHIPPING to the lower 48 states and our premium watercraft are MADE IN THE USA have an unconditional LIFETIME WARRANTY, which is unmatched in the industry! 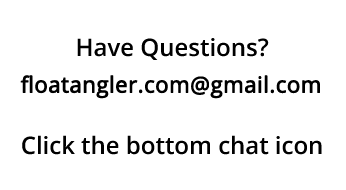 *Payments processed securely via Stripe and orders fulfilled via Fishbowl. 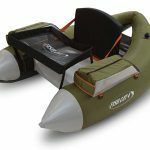 of the lightweight belly boats designed for backpacking. Another example might be an angler who wants to fish for bass on larger lakes and wants to cover lots of water. He should probably buy a pontoon upon which he can mount an electric trolling motor and controls. You can “get by” with only one craft for a wide range of fishing situations. I have fished mostly from a belly boat for over 50 years…as a matter of personal preference. I have tubed both freshwater and saltwater, for many species, with all types of tackle. But, while I have done well with just a kick boat there were a lot of occasions when I lusted after a toon…or a boat. The flip side of that situation is that I know lots of successful anglers that fish only from a toon but often regret that they do not also have a craft for some waters and some fishing situations. There are times and places where either craft may work better than the other. To the best of my knowledge there is no law in any state that restricts how many floatation craft you can own…or of what type. If you have the budget and the need then by all means go ahead and buy both a tube and a toon…or more than one of each. Multi-species anglers who fish with all kinds of tackle, under varying conditions, can easily justify having both kinds of floatation systems. In fact, there will be times and places where you could conceivably use both on the same day. A good example might be on a multi-species lake with a variety of angling opportunities. You start by fishing the shoreline early using a kick boat or fishing pontoon for quiet presentations while it is still calm. If a breeze comes up, you switch to your toon and use the electric motor or oars to do some trolling…or to make a trip to a protected cove that would be too far to kick with the tube. Multi-species, multi-tackle anglers are also likely to have more expansive requirements in the design and construction of their craft. The more tackle they take aboard and the bigger the fish they pursue the larger the craft they should buy and the more storage pockets they will need. 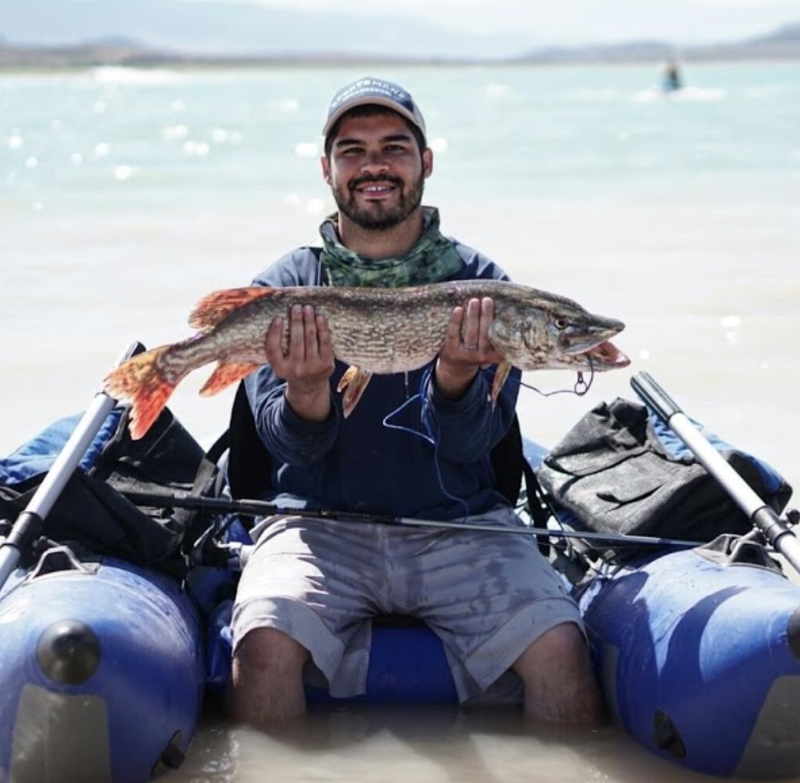 There are fewer needs in size or storage capacity for kayak fishermen who target only one or two species and who do not fish a lot of different waters. Their angling tends to be simpler with less tackle and fewer or smaller pockets needed to hold their stuff. They can usually get by with lighter and more basic designs in either tubes or toons. For example, fly-flinging trouters do not have very exotic requirements. They can wave fairy wands from either a tube or a toon. As long as they have a good stripping apron and plenty of pocket space for all their fly boxes, extra lines and other goodies they are good to go. have floatation chambers that are rated as puncture proof. If you plan on launching in salt-water…whether off beaches or in protected bays and backwaters…you will want the best craft you can afford. Besides having plenty of D rings and plenty of floatation you want to be sure that the materials can hold up under the combined factors of sun, sand and salt water. Today’s tubes and toons generally feature high quality covers and stitching so they are not prone to premature disintegration. And, as previously mentioned, some of the premier models have bottoms and even some top areas covered in tough PVC. Nevertheless, you should always rinse your craft and tackle in fresh water after every trip to the briny. wind catching surface and greater difficulty in maintaining position while fishing in a breeze. 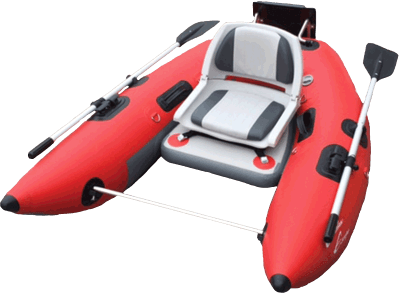 Still another “kick boat” design is a hybrid between a rubber raft and a belly boat. As the description might suggest these are basically enclosed rafts with a portion of the “floor” missing to allow the angler’s legs and fins to extend downward into the water. Since they do not offer many recognizable advantages over more traditional designs, and because they are more “spendy”, there are not too many of them on the waters. The V-boats are arguably the best all-around craft for tubers who want greater floatation, higher seating and better handling in a breeze. 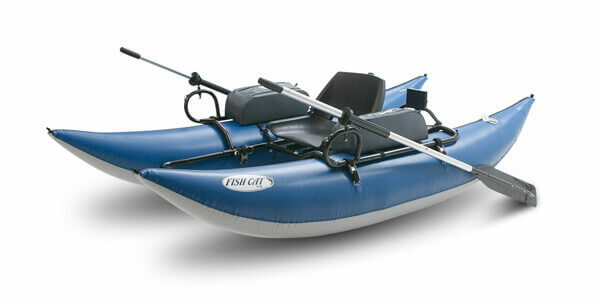 Most models have either rigid foam or inflated seats to elevate the angler. Sitting higher off the water you stay warmer in cold water and there is less drag when you kick your fins for propulsion. And, if a breeze comes up the pointed end rides into the wind and waves better for easier tracking and control. Some U-boats and V-boats have small enclosed storage areas behind the angler. These are not usually waterproof but can accommodate a dry bag or plastic container for additional storage of clothing, etc. These work well for taking out extra tackle, food items, camping gear, etc. Most pontoons look pretty much the same at first glance…two air chambers, a frame and a seat…with oars. But, that is where the similarity ends and differences begin. Some have shorter pontoons with greater width on each air chamber than longer models. Short and squat can provide as much floatation as long and sleek but maneuverability and control will be different under different conditions. Some pontoons feature dual air chambers on each side for a total of four per craft. Extra air chambers to inflate obviously increase setup and takedown times. On the positive side the quad chambers also increase stability and safety. You have to decide what is most important to you. Two narrower air chambers on each side, rather than one larger one, lowers the “profile” of the craft and decreases wind resistance. However, having more of the pontoons in contact with the water’s surface increases drag. This slightly reduces propulsion efficiency whether from fins, oars or electric motor. There is one element of pontoon design that instantly separates toons from tubes. Those are the frames. Tubes are pretty much self-contained. Pontoons have large separate air chambers that need more than a couple of wimpy straps to hold them firmly in place. Toons generally have metal frames and a system of attachment that makes them easy to set up and take down without compromising strength and endurance. Pontoon frames can be made of several metals. Steel and/or aluminum are the most common in toon frames. Steel is cheaper and heavier. Aluminum is lighter and more expensive. There are differences in oarlocks and the oars that come with your craft too. Do some research and look them over carefully. 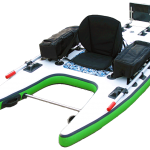 Standard rowing systems are suitable for most tooning and kayak fishing but you may want to spend a bit more for upgrades or retrofits…if available. Assembly hardware is a biggie. Whatever craft you fall in love with should be simple to put together and take down, especially if you are going to have to transport it disassembled inside your vehicle. Ideally it will have ring pins rather than nuts or bolts that require tools. Also, check the adjustability of the footrests and seat. These should be easily repositioned…forward or backward…to maximize rowing efficiency and to balance the total weight of your loaded system. Installing a trolling motor and heavy battery will definitely change the balance. If you plan to use an electric trolling motor you should buy a toon with a mounting bracket built into the frame. You can always retrofit or rig a motor mount but it is better to get a craft with one already installed and balanced for your model. Most pontoons do have a small platform behind the seat. This is useful for stowing extra gear, but is also commonly used for holding the heavy deep cycle battery needed to power an electric trolling motor. Some models include sturdy platforms along with the motor mounts. Others have wimpy little platforms that will not hold the weight of a heavy battery. Make sure you either get what you want when you buy, or that you are able to make a satisfactory retrofit on the existing frame.